Lot 10: (1) Book: The Complete Marvel Cosmos Travel Guide. 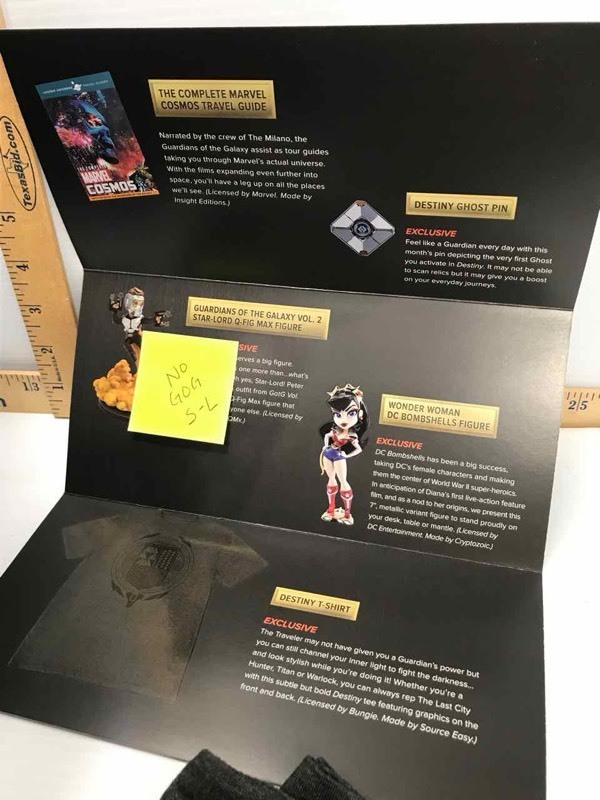 (1) Exclusive Destiny Ghost Pin. 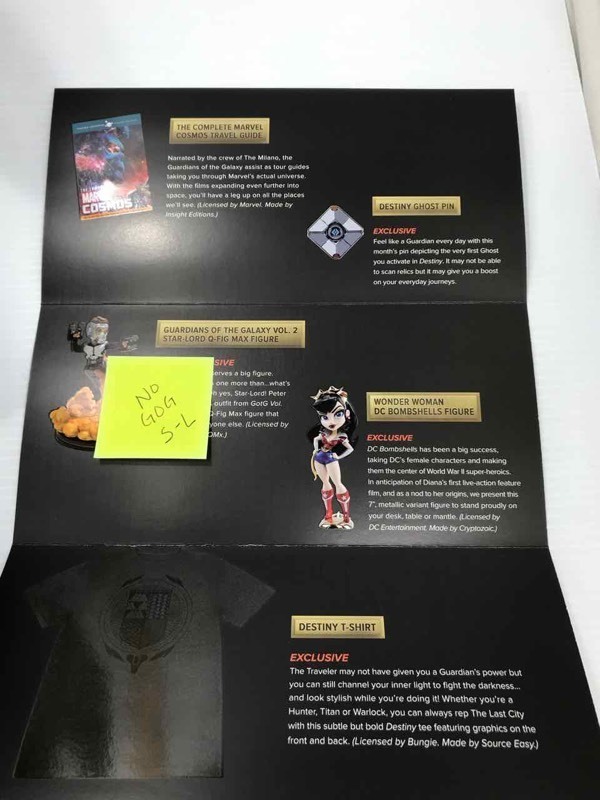 (1) Wonder Woman DC Bombshells Figure. (1) Destiny T-Shirt, size XL. 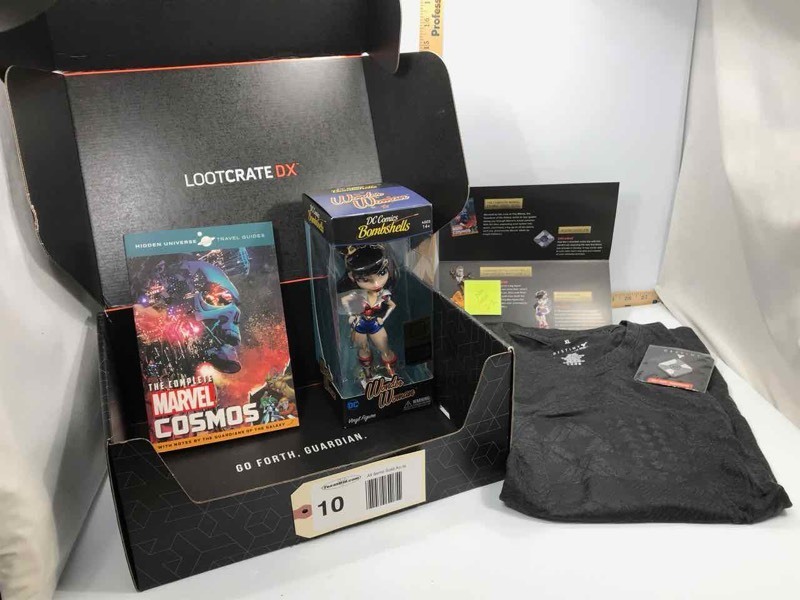 This Lootcrate DX box is MISSING the Guardians of the Galaxy Star-Lord Q-Fig Max Figure.